Here is a BEFORE photo of our Cummins 4BT Jeep Wrangler Conversion Project. We have lots of work to do. Still rebuilding the Cummins 4BT. We will modify the fenders, suspension, add a lift-kit, new custom wheels and tires, etc. Plan to use the stock Auto Transmission if possible. If not, we will add a NV4500 5-speed. BB Diesel Performance would like to commend Bruiser Conversions for their leadership in Jeep Wrangler Cummins 4BT Conversions. There quality of workmanship has inspired us to try one ourselves. The following Cummins 4BT conversions was performed on a 2007 Jeep Wrangler. Check out how sweet this is! 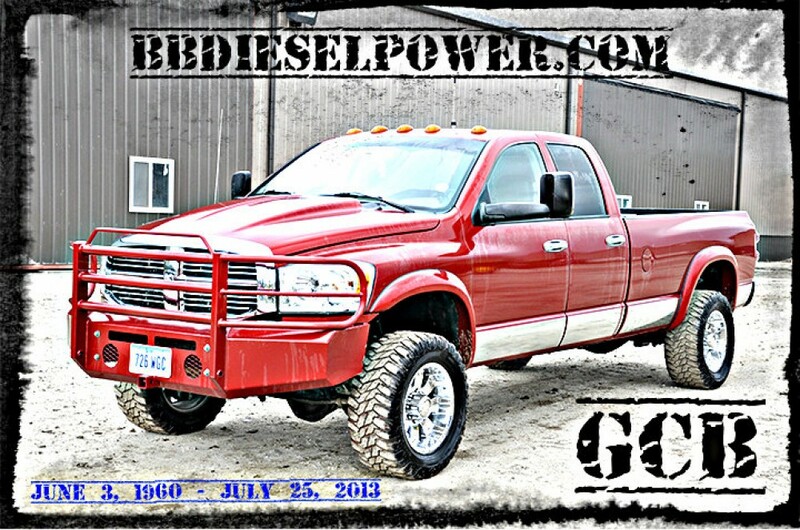 Of course if your looking for a milder, lower budget style Cummins 4BT Conversion, we can help. We offer Cummins 4BT and Cummins 6BT Conversions in a wide variety of SUV’s, Trucks, etc. Let your imagination go wild. We recently found a Cummins 4BT in a older Chevrolet Monte Carlo! Cummins 4BT for sale. 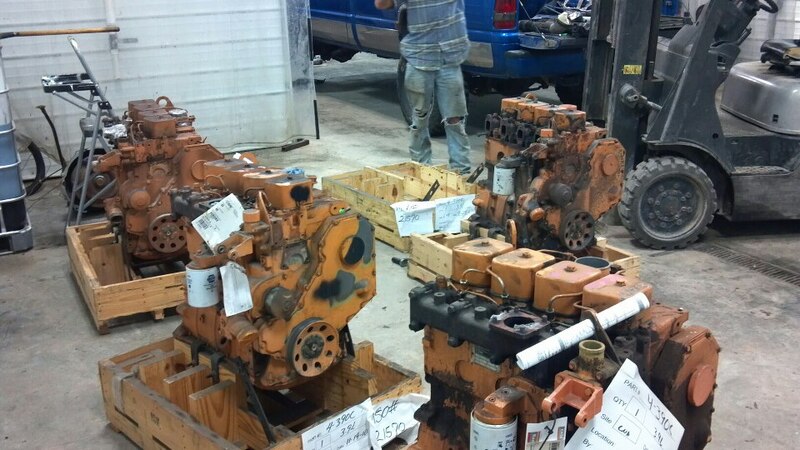 Five engines arrived for rebuilding. There are already a few commitments, so let us know right away if you have interest. There will be four total cummins 4BT’s for sale. 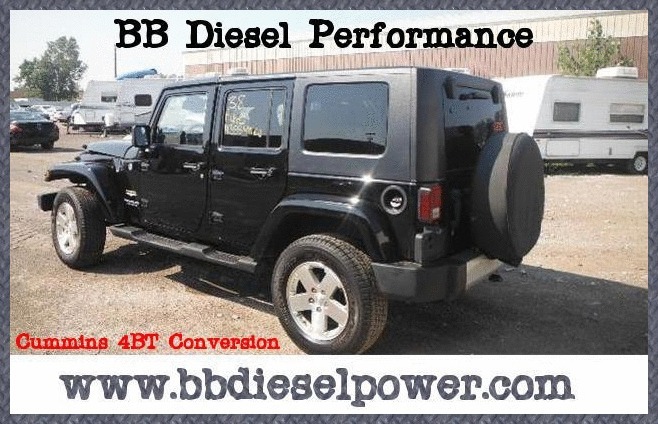 BB Diesel Performance will keep one for a Jeep conversion DEMO machine. We plan to build the cummins 4bt to our clients specifications. Some want a stock build for improved fuel economy while others are asking for maximum horsepower, twin turbo’s, on and on.